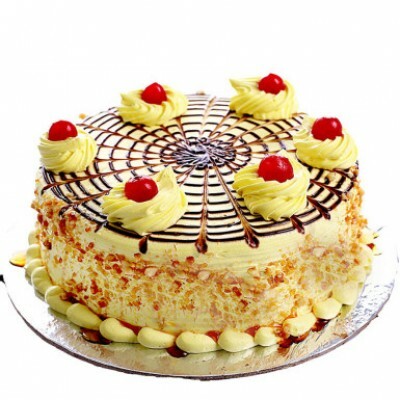 Affable Butterscotch Cake is composed of butter crunches, sugar, whipped cream, eggs and flour. Cherries on the top of cake is added to give an astonishing appearance. Celebrate your occasion with this eye catching cake.